This David Hunt Antler small table lamp in highland rustic finish with silk shade is traditional and hand crafted in Britain. Crafted from cast resin, with a hand applied finish using airbrush techniques to achieve a flawless look. 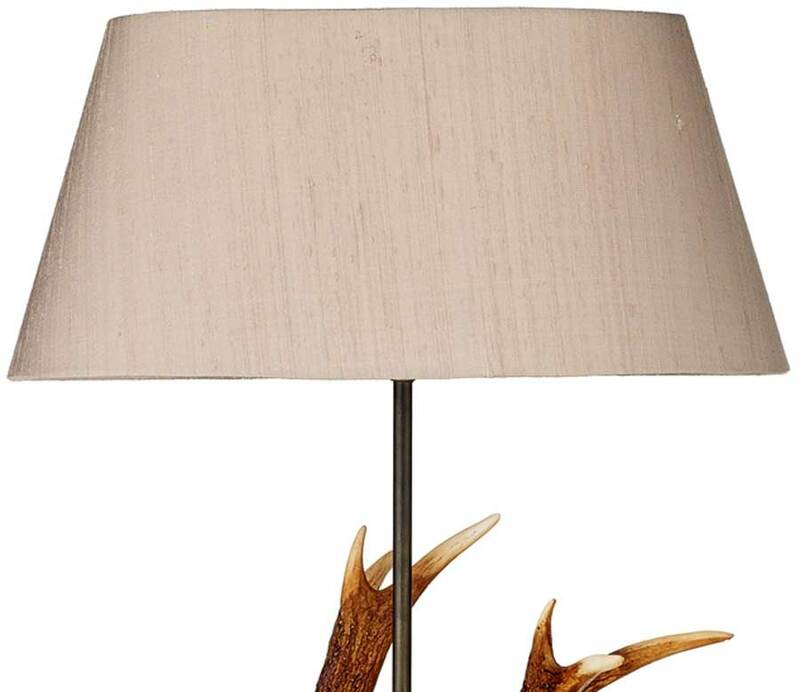 Featuring a circular wood effect base and central bronze stem, with 100% silk oval lamp shade in a choice of colours. 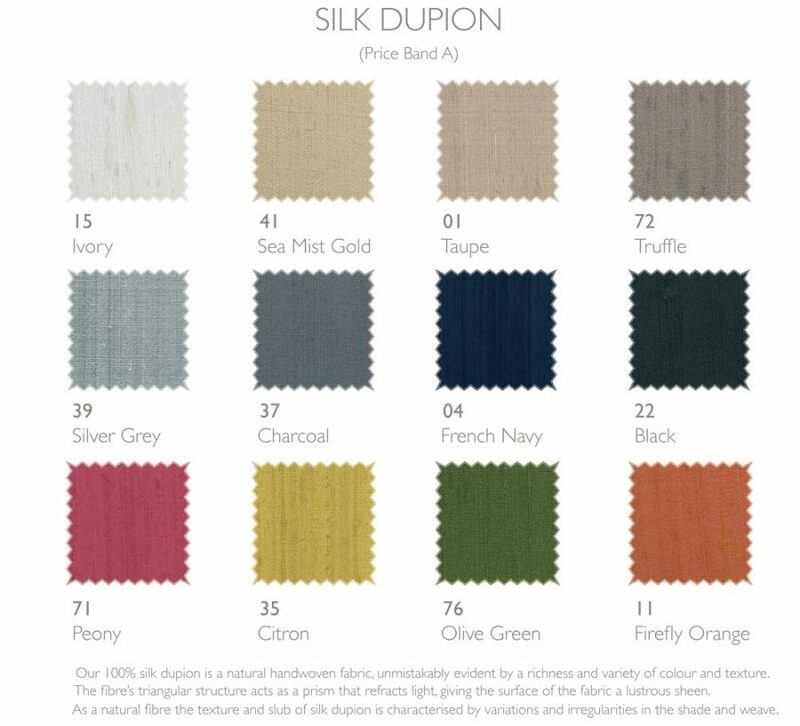 The tapered silk shade is available in a range of vibrant and neutral colours as shown in the secondary image colour swatch. Please specify your chosen colour at the time of checkout in the special instructions box or contact us to discuss your requirements. This unusual table lamp will look charming in many rooms and is easily operated by a traditional switch located at the lamp-holder. 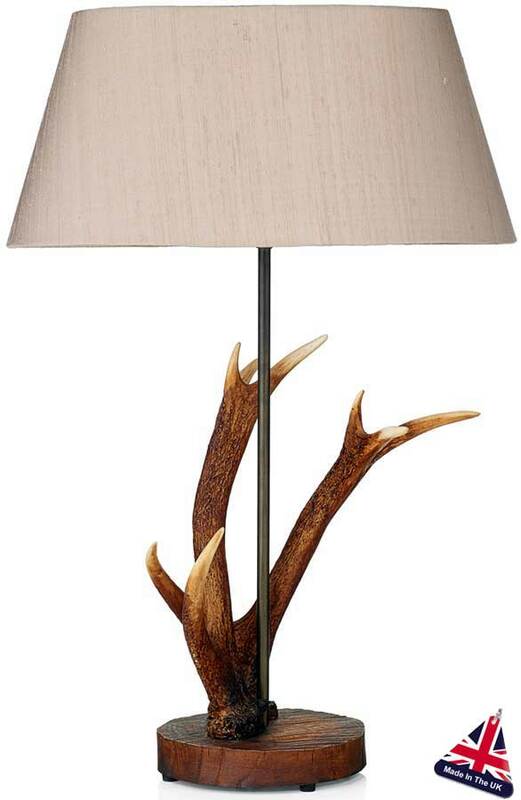 A range of natural stag rustic light fittings are available to complement this rustic table light, please see below for more details. 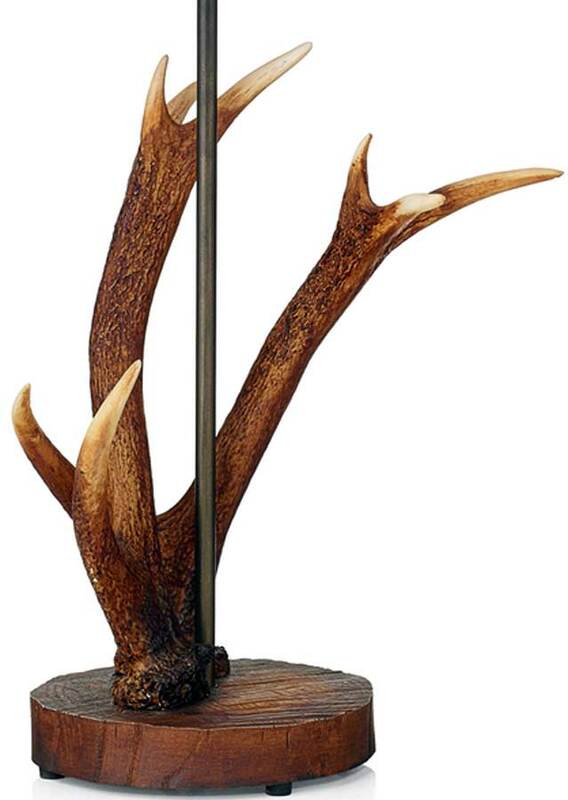 This rustic country light is designed and made in Britain by David Hunt Lighting who are well known for the design and manufacture of original hand crafted products such as the Antler small table lamp in highland rustic finish with silk shade you see here.